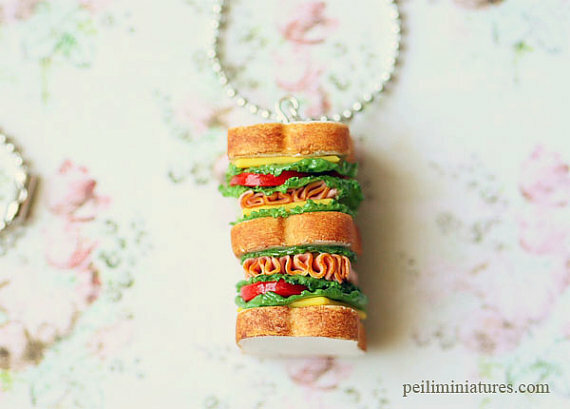 A tall sandwich necklace which is great for everyday wear! Handmade by me using air dry clay. I'm very sure someone would adore this piece. I had fun creating this and stacking it up! 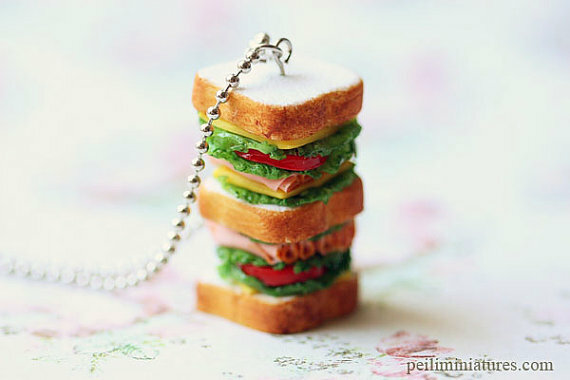 You can see the lettuce, tomatoes, cheese and ham in this sandwich jewelry. All of my sandwich necklaces are made by hand so they will vary slightly (No 2 pieces will look the same), but I always make sure that each one is beautiful! 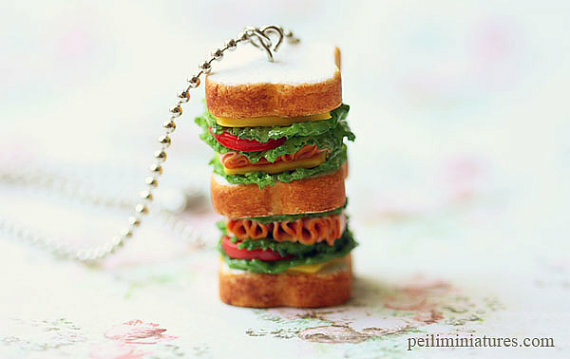 Sandwich necklace measure approximately 3.5cm tall and 2cm wide.